The definitive history of the entire Mercedes-Benz W123 series. From the saloons/sedans, coupes, and estates/wagons, to LWB and chassis only vehicles, this book contains an overview of all the models sold in each of the world's major markets. 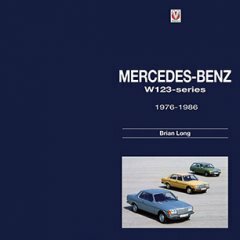 At last, the definitive history of the hugely-successful Mercedes-Benz W123 series, written in English and by renowned motoring writer Brian Long. 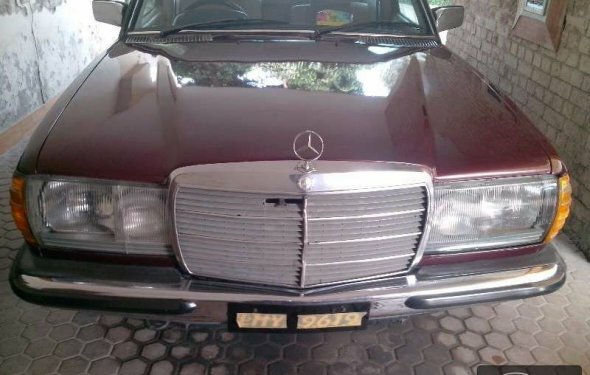 Produced in saloon/sedan, coupe, estate/wagon, LWB and chassis only form, around 2, 700, 000 examples of the W123 series were sold between 1976 and 1986, and, thanks to the full co-operation of the factory in Stuttgart, this book covers each and every variant from a worldwide sales perspective. Packed full of information and contemporary color photography, it is the perfect resource for W123 enthusiasts and followers of Mercedes lore. Born in Coventry, once the heart of the British motor industry, Brian Long is a professional writer with a passion for vintage and sporting machinery. A trained mechanical engineer and a long-term owner of both the MX-5 and rotary Mazdas, he has had a strong connection with Mazda products for well over a decade.Married to Miho, and with two children (Louis and Sophie-Mercedes), Brian now lives just outside Tokyo, and spends much of his free time with Thoroughbred horses. He has had over 60 books published, including many works on Japanese marques.